Following further disasters, the Home Secretary invited suggestions for the prevention of colliery explosions. As a result, one of H.M. Inspectors of Mines, Mr. Henry Hall, was commissioned to carry out experiments. 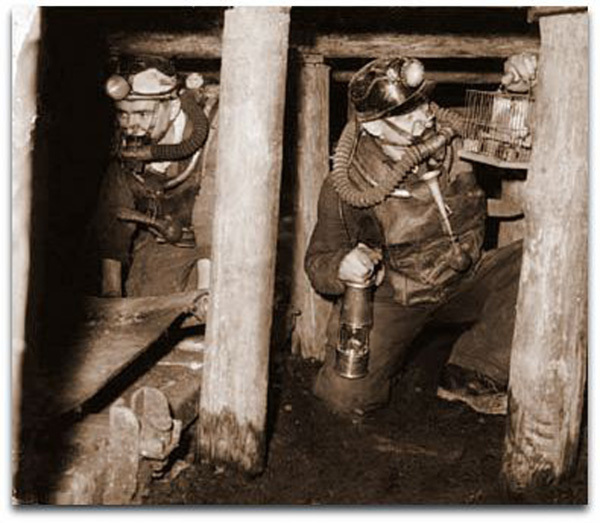 In 1891 a commission reported recommended that the mine dust be watered and that certain rules be adopted affecting the use of explosives in mines. “ It is possible that in some cases, the extension of an explosion might be easiest prevented by adulterating the coal dust with an inflammable material”. Accumulations of coal dust should be prevented. An arch or invert of a certain length should be built in each haulage road and kept constantly damp.To destroy the combustible properties of the coal dust, by watering or mixing with salt, or an inert dust. When shot firing, the floor should be watered in every case, as well as the roof and sides where required. The watering should be done by spray or hose and the water should not be less than a certain pressure. In consequence of this report, the Mining Association of Great Britain appointed a committee, under the supervision of W.E. Garforth, to carry out a series of experiments in their study of coal dust explosions. Their experimental gallery was at Altofts and R.V. Wheeler was appointed resident physicist and chemist. When the combustible and incombustible dusts are present in equal proportions, the flame is not propagated. It is advisable to employ water; dustless, or stone dust zones. The better principle is to treat all places where coal dust can accumulate with stone dust, and thereby guard against the primary ignition of the coal dust. It is far easier to prevent an explosion occurring than to stop it after it has travelled some distance. I would now like to go on and say a little about some of the various types of mine gases. Air comprises of a mixture of gases, the most important being oxygen, nitrogen, and carbon dioxide. One fifth of the air is oxygen, which is necessary for people to breath, and for keeping flames alight. Nitrogen constitutes almost four fifths of the volume of air. Pure nitrogen will extinguish a flame, and suffocate persons breathing it. The proportion of carbon dioxide to the other gases in the air is very small. It is colourless, has no smell, is heavier than air, and it will not burn. Air, containing a high proportion of carbon dioxide will extinguish a safety lamp flame, and, if breathed, the rate of breathing is increased, (it stimulates the reathing) headache develops, and unless fresh air is sought, death occurs due to suffocation. The proportion in which these gases are mixed in the air remains fairly constant, as long as a good flow of air through the workings is maintained. A breakdown in the ventilation system, a fire, or an explosion, can alter the composition of the air, and then concentrations of one of these, or other gases may occur along the coal face or road way. Certain materials take oxygen from the air, by an action known as oxidisation, and carbon dioxide is left. Sometimes, because of the oxidisation of coal, timber and other materials, a good deal of oxygen may be removed from the air. This is common in old workings, and the mining term used for this is “blackdamp”. The earlier miners discovered an flammable gas which they termed “fire damp” describing for them, any mixture of gases which would result in an ignition, or an explosion, when the conditions were favourable. (A similar gas, called marsh gas is emitted from bogs and swamps.) The flammable gas issuing from the coal and strata is now known as methane. It is lighter than air and tends to accumulate in roof cavities, but it will defuse into and mix with air from which it will not again separate. It is a colourless, tasteless, odourless, invisible gas but can be detected with a flame safety lamp with the wick lowered. If methane is present in the atmosphere, a pale blue flame is formed depending on the percentage present. At one and a quarter percent, a pale blue halo or gas cap will be just visible above the testing flame. At approximately two percent the gas will form a triangle, with a slightly rounded top. In higher quantities the gas cap will be taller, and above five percent, the flame will be snuffed out. The way, in which a mixture of air and firedamp behave when ignited, depends on the proportions in which they are mixed. Between about five percent and fifteen percent is an explosive mixture, the most violent being about nine percent, above the fifteen percent limit, there is just enough oxygen to enable the gas to burn. By flame from damaged safety lamps and fires. Overheated surfaces such as lamp gauzes filaments in broken electric bulbs. Frictional heat produced by rocks or pyrites, when struck a glancing blow, and haulage ropes. Electric sparks from switchgear, damaged cables and signal apparatus, faulty electrical equipment. Explosives. The firing of shots may ignite firedamp in breaks or cracks in the shot holes, or it may ignite outside the shot holes. Whitedamp . This is a mining term for carbon monoxide. It is produced from gob fires, and coal dust or firedamp explosions. It is extremely poisonous, even in small concentrations, and has no colour or smell. It is the most deadly gas encountered in mine atmospheres, and 0.5% kills in three minutes. Stinkdamp. This gas is sulphuretted hydrogen. It is produced underground, when coal is heated out of contact with air, as in gob fires. It is very poisonous, but fortunately, however, it has a strong smell of rotten eggs and this gives a warning of small traces, but the chief danger lies in the fact that this gas destroys the sense of smell and it maybe thought that the gas is no longer present. It causes headache, dizziness, pain in the eyes, stupor, and eventually, death. Afterdamp . This is a mixture of lethal gases found in a mine after an explosion, and its composition will vary, according to the conditions and circumstances of the explosion. In general, afterdamp maybe described as a mixture of nitrogen, oxygen, firedamp, carbon dioxide carbon monoxide, and hydrogen, with relatively small amounts of other gases produced in explosions.